In exactly 7 days you and 2999 other Metalheads from around the World will be on board 70000tons OF METAL 2015, sailing with 60 Metal Bands on a 154,000 ton Cruise Ship to JAMAICA! Do you have your cabin booked yet? Don’t miss your chance… book NOW! 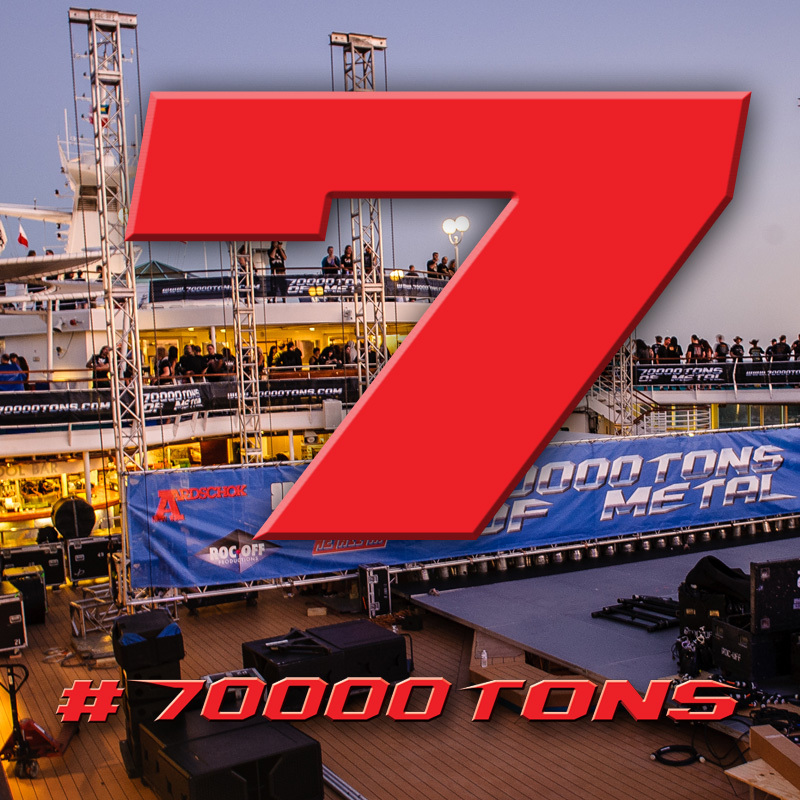 1 week until 70000TONS OF METAL 2015, Round 5 of The Original! The World’s Biggest Heavy Metal Cruise!